Indelible Eyes Eyeliner by Blue Water Naturals! New and Improved this long-wear, smooth-gliding formula will prevent any skipping or tugging on the lid. Create the prefect eye line with this waterproof eyeliner. Smooth glide on color tip with attached sponge for no mess blending. No streaks, no smudge, no mess - just slim, sophisticated, eye-enhancing expert lines. Normally only available in salons, you can order direct from Blue Water Naturals! Defining your eyes with eyeliner will immediately enhance your look and draw attention to the beauty of your eyes. Also, this eyeliner is perfect for the waterline when tight lining – it goes on so precisely it’s a must! 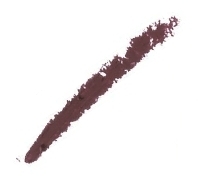 This highly pigmented eyeliner features a waterproof, fast-drying formula that's made to last! Keep eyeliner on all day long with this special anti-oxidant enriched formula. Now in our beautiful Black Barrel packaging.